Sometimes we all need a thick slice of humble pie to chew on. If you find yourself routinely puffing your chest out or staring for long periods in the mirror at your handsome reflection, I suggest a blind tasting. Not only are they grounding, but blind tastings are also a great way to test your “wine chops”. A while back, I attended a blind tasting at a local wine bar. There were 4 wines, 2 whites and 2 reds. 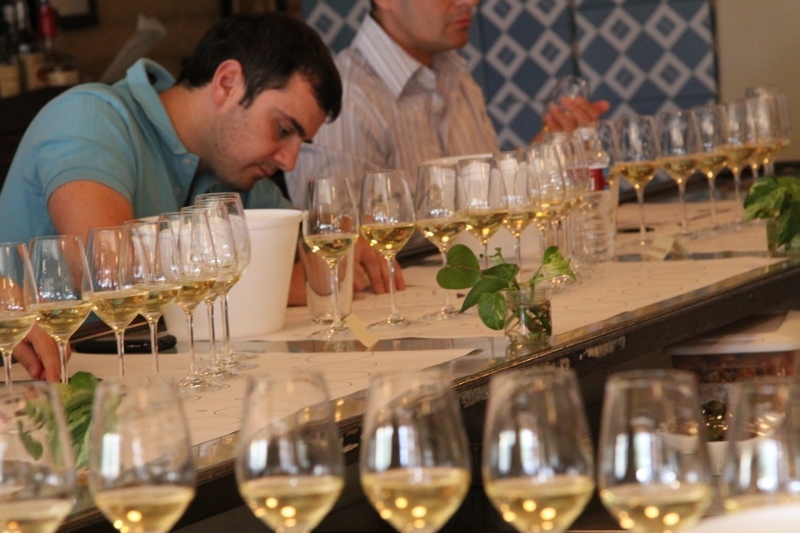 We did not know the varietals or where they came from– known as a “Double Blind” tasting. We were given only one clue: The wines were single varietals, not blends. When blind tasting, every part of the wine tasting process needs to be intricately analyzed. Is the wine pale in color, like water? Or is it a deep, honey golden color? When it’s swirled, how viscous does it appear – thin and watery, or cloying and thick? Are the aromas more earthy and woody, or sweet and fruity? 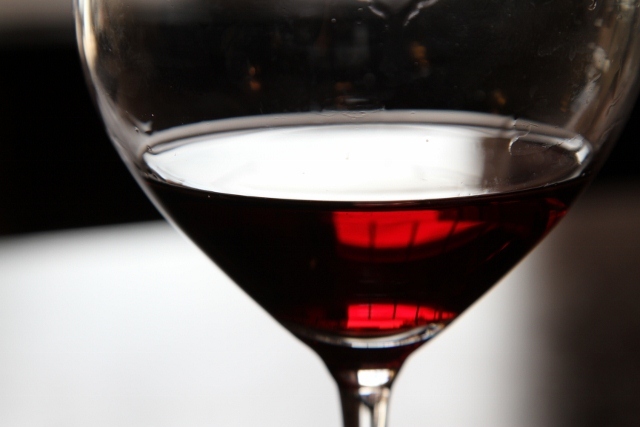 When tasting, is the wine heavy with mouth drying tannins or more light and silky? Each identifiable characteristic will act like a piece to a puzzle, helping you more accurately label a wine a certain way. To make it even more interesting, the wine bar was offering a $25 gift certificate to anyone who could guess all 4 wines correctly. After all the eager contestants had arrived, we got down to business. 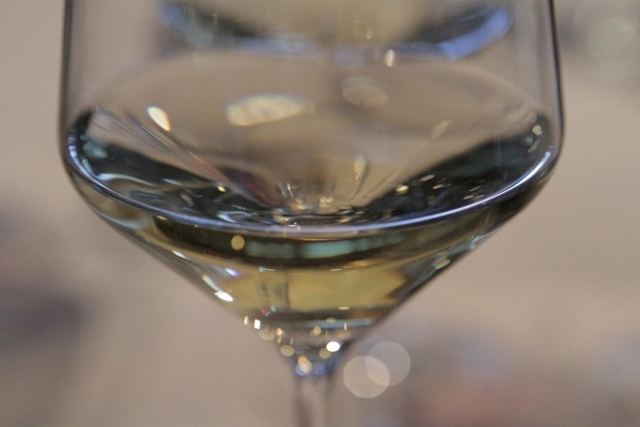 The first white wine was placed before us like a microorganism beneath a microscope. Guests put their noses in the glasses, taking notes, swirling and gazing into the distance searching for analogies. This was repeated several times, as gazes turned to puzzled, contorted facial expressions. I found the first wine tasted like lemon Theraflu – not exactly appealing. The second white wine was marginally better with a sort of buttery chardonnay mixed with grassy Sauvignon Blanc taste, a somewhat confusing flavor profile for me. Halfway through the competition and my confidence had already taken a harder beating than BP Oil. The second red wine I liked a lot more; smooth, with decent fruit, light acidity and tannins. My mind went straight to Merlot. Without a doubt, no questions asked. It turned out to be a Cabernet. Then the moment we had all been waiting for – the results. While the $25 gift certificate would be nice, it was our pride that we were all hoping to walk away with. The first white: Pinot Grigio. I could have sworn it was blended with Theraflu. The second white: a Sauvignon Blanc – I was almost there! The third of our flight turned out to be a Zinfandel (a poor excuse for Zinfandel, if you ask me). And finally, the fourth and final wine… a Cabernet Sauvignon. I would have bet good money it had been a Merlot. Maybe they had poured me the wrong stuff? We looked around the room to find that a few had 3 out of the 4 pegged correctly, but nobody got them all right. No cash prizes, but there were plenty of defeated wine aficionados. Blind tasting is a learning experience to say the least. Analyzing wine without knowing the brand, varietal, or price point really puts your palate to the test and is the single most honest way to evaluate a wine. It’s an interesting and fun way to add mystery and intrigue to a wine tasting or wine party, especially if you venture out of the more well known grape, wine regions and flavor profiles. Have you ever put your palate to the test in a blind setting? If so, what were the results? Were you pleasantly surprised with your wine wherewithal? Or did you leave with a bruised palate ego? Well… at the end of the day, isn’t blind identification (as opposed to making a taste judgement) a bit of a party trick?